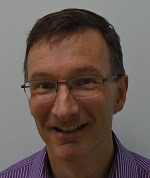 John trained in the practice and has been a partner since 1991. 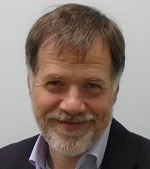 He has a long standing interest in research and has carried out research projects in the practice, and in collaboration with other practices and hospital colleagues. 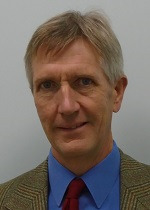 Miles trained in the practice and has been a partner since 1993. He undertakes a full range of medical care including some minor surgery and joint injection. 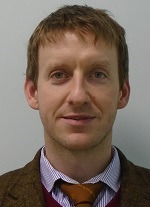 He also represents the practice locally and is active in the Royal College of General Practitioners. 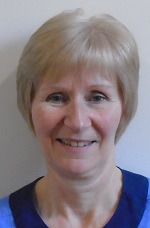 Moira has worked at the practice since 1992 when she started as a trainee GP, becoming a partner in 1994. Outside of work she volunteers for Girlguiding and is a Deputy Lieutenant in the County. 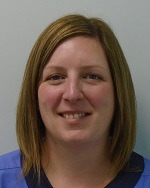 Originally from Ayrshire, Sharon graduated from Aberdeen University in 1995 and completed her GP training in Inverness in 2001, becoming a partner at Dingwall Medical Group later the same year. Outside of work, she enjoys walking her dogs and spending time with her Husband and three children. 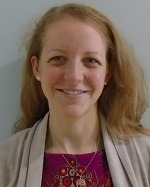 Louise attended medical school at St. Andrews and then Manchester, after graduation in 2003 she moved back to the Highlands where she completed GP training. 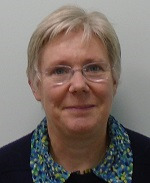 She joined Dingwall Health Centre in 2010. 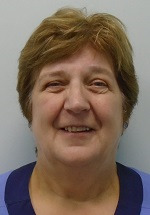 Louise has a special interest in occupational medicine and family planning. Outside of work, Louise spends her time looking after her young family and her ever increasing flock of sheep. 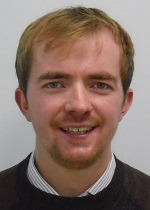 Jonathan completed GP training in Beauly and Inverness, passing the MRCGP examination in 2008. 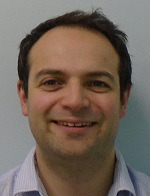 He has lived in and around Dingwall since 2004 and joined the practice team in 2011. Professional interests include joint injections and minor surgery, geriatrics and palliative care. 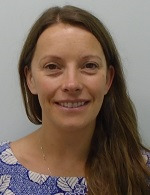 Mary graduated from Glasgow University in 2002 and initially trained in hospital medicine gaining MRCP in 2006. 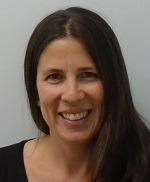 She completed GP training in 2008 and spent 5 years working as a locum doctor and expedition medic before joining Dingwall Medical Group in 2013. Outside of work she likes spending time in the hills or on the sea. She lives on a croft on the Black Isle with her husband, daughter, cats, hens and sheep. Interests include Pre-hospital emergency care through BASICS Scotland, 1st team doctor for Ross County Football Club and GP trainer with NHS Education Scotland. Outside interests include Dingwall Free Church & trail running. Andrew did his medical training in St. Andrews and Manchester then worked as a doctor in Glasgow and Dumfries for 6 years. He joined the practice in August 2018. Special interests include palliative care, ENT and he is trained in knee and shoulder joint injections. Outside of work he enjoys kayaking, running, DIY and painting. Daniel completed his GP training in August 2018 in Inverness. 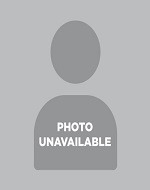 He joined the practice in September 2018. He is trained in providing joint injections. Outside interests include hill walking, mountain biking and campervan trips. Helen is completing her final year of training with the practice to specialise in General Practice. She graduated from medicine at Leeds University and since has worked in hospitals in London, Liverpool, and Scarborough near where she grew up. Her last job was in Raigmore Emergency Department. She has an interest in working abroad, including a six month break from training working with a Christian charity helping victims of exploitation in France. Recently married, she currently is enjoying settling into the Highland life and getting involved with their church in Culloden. At times the practice also employs locum doctors to help cover periods when the regular doctors are away at meetings or on leave. These doctors are all fully qualified and on the Health Board Supplementary List. We take students from Aberdeen and Dundee Universities for a period of between 4 weeks and 1 year for experience in general practice as part of their undergraduate medical training. We hope you will enjoy helping with their learning as we know they appreciate their time in our practice. We feel we are able to give them experience which will be highly beneficial for their future careers. You will always be advised in advance if the appointment is with a student or of the presence of a student and can ask for them to leave at any time. This will not prejudice your care in any way. These are attached to the practice for between six and eighteen months and are here to help. They are all fully qualified and have postgraduate experience in hospital before coming to work in the practice. On occasions we host doctors undertaking advanced training in specific areas of General Practice, for instance Remote and Rural Training Fellows. These are fully qualified General Practitioners with a Certificate of Completion of Specialist Training in General Practice. We feel the practice benefits from their experience and enthusiasm. The management team, doctors and nurses are supported by a team of practice staff who deal with appointments, repeat prescriptions, lab results, IT and many other administrative tasks. We ensure that the confidentiality of patients’ records is maintained at the highest level by all staff at all times. Medical Administrators provide an important link for patients with the practice and are your initial contact point for general enquiries. They can provide information on services and results and direct you to the right person at the right time depending on your health issue or query. Administrators make the most of patient appointments with the GPs and nurses. They also perform other important tasks such as issuing repeat prescriptions and dealing with prescription enquiries, dealing with financial claims, dealing with patient records and carrying out searches and practice audits. The community midwives help to look after women during pregnancy and during and after giving birth along with GPs and hospital consultants. They hold regular antenatal clinics in the Dingwall Health Centre as well as parentcraft and relaxation classes. Further details are available and appointments can be made by contacting them on 01349 864571. The district nurses are available to give nursing care to patients in their own home and work closely with the GPs. They are based in the health centre and can be contacted by telephoning 01349 862220. If they are out on their rounds a message may be left on their answering machine. The nursing team also have a responsibility to assist with the training of student nurses. You may occasionally be asked if you are willing to have a student nurse assist with your nursing care. District nurses are available from 9.00am - 5.00pm, seven days per week. Health Visitors are registered nurses or midwives who have undertaken further training enabling them to work to promote the health of children and families. The Health Visitor is now the named person for all pre-school children. Health Visitors usually start visiting families when their new baby is around 10-14 days old and continue with regular contact until the child starts primary school. Health Visitors and other members of the team organise parenting groups, baby massage and other activities to promote good health. They can also offer practical advice and help on an individual basis. Health Visitors are based within the community and usually visit families at home. They work Monday - Friday, 9.00am to 5.00pm and have an answerphone service operating when they are unavailable or out on visits etc. They can be contacted on 01349 868520. Please ring them to make an appointment. Substance misuse nurses are mental health nurses who specialise in helping people with alcohol or drug problems. Substance misuse nurses recognise it can be very difficult to change established habits and would initially meet with a patient to discuss to what extent alcohol or drugs are a problem for an individual and to look at what treatment options may be suitable. They work Monday to Friday 9.00am - 5.00pm. Please ask your doctor to refer you if you want help to address an alcohol or drug problem. Alternatively, the nurses can be contacted directly at 01349 869231. School nurses provide health care in the school setting for all children from primary 1 to secondary 6. This includes screening, health education, counselling, 'drop-ins' and home visits.